World Suicide Prevention Day, this year, like every other, invites critique and reservation. Prevention confers an active movement to stop a death – one taken by the self – from arising. The very existence of a designated annual date indicates the prevalence of suicide, and the need for engagement and awareness of its causes and consequences. In a UK-based Samaritans report released earlier this year, they found that across 2012 to 2013 there was a 4% increase year on year, with a total of 6,233 recorded deaths. Of those, 4,858 were male. These findings match a trend seen across the Atlantic. Suicide Awareness Voices of Education (SAVE), suggest that suicide is the 10th leading cause of death in the United States for all ages. To put this in context, that equates to an average of 105 US citizens committing suicide per day. Facts and figures, however, offer little hope on days such as this. World Suicide Prevention Day must not be about oppression, prevention, and the lexicon of ‘committing’ must undergo a thorough process of revision. Instead, global health leaders must inspire a system of trust with an appropriate language. Acceptance, awareness and ease of access to healthcare must be prioritised. 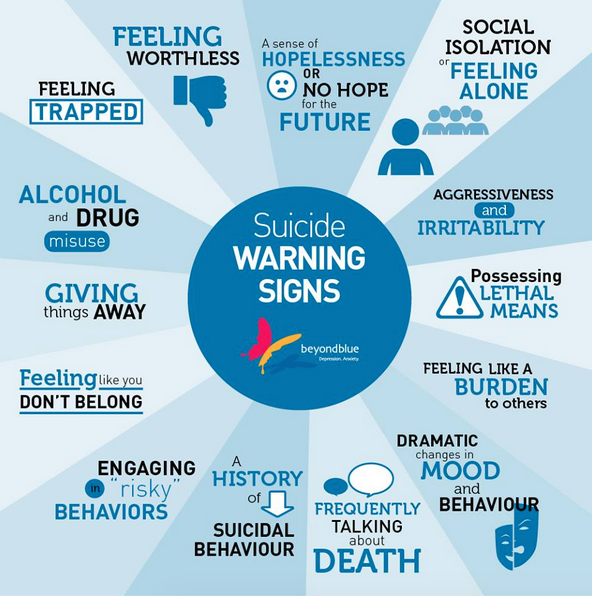 It might seem blindingly obvious, but we can all alert ourselves to the warning signs for suicide. Knowing what they are, and how they can manifest, is a key step to reaching these priorities. Yet, of course, one suicide is never equivalent to another. The cocktail of circumstance, reasons and history that can lead to such an event varies from person to person. This must be acknowledged, while all ‘prevention’ work needs to become humanised – driven by an understanding that these are feeling, mutable lives of people just like you or I. Suicide remains something forbidden. Time and again, colleagues, friends, anonymous communications users express concern that by openly discussing suicide it might be contagious, triggering, or suggest a potential course of action. I firmly believe this is not the case. A sensitive and informed dialogue offers a network. One which supports, and makes certain that all members of society, regardless of race, religion, sexual orientation or diagnosed status, are aware that there absolutely is help available. Such an infrastructure exists across many psychiatric services within the NHS, but it is not uniform, nor does it parallel education of the layperson. With the endorsement of the Royal College of Psychiatrists, the NHS released a publication titled ‘Help is at Hand’. It is more than just a document. It remains this country’s authoritative guide on how to transcend statistics and offers practical, and potentially life-saving, advice. Suicide impacts both the individual and their entire social environment. Open eyes, open ears, open hearts – these might just offer a cue or lifeline to those who need it most. Together, we can reduce the recourse to suicide. If there is something troubling you, there are people who want to listen. People care, and they will care enough.